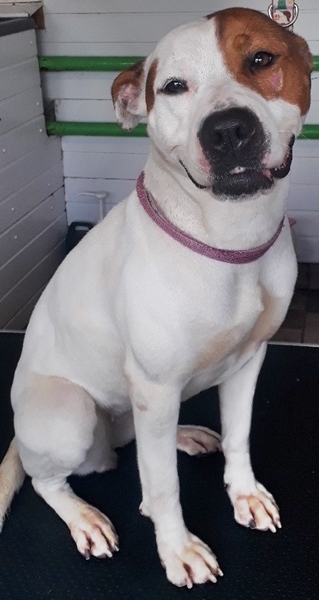 Published 26th March 2019 at 319 × 600 in Dogs Looking for Homes. ‘Pippin’ Approximately 2 to 3 year old Female Staffordshire Bull Terrier Cross. Pippin came into us as her owner can no longer care for her. Pippin is a very nervous dog who is extremely shy of new people and does take a while to get used to new people so cannot be rehomed with anyone under 14. Pippin is full of energy and will need plenty of long walks so would suit an active family. She isn’t keen on other animals so will need to be an only pet.